It's been three weeks now since I left England for some family fun in Portland, Oregon. I have LOVED and missed the oregon weather of sunshine and blue skies with the crisp fall air. Having been to the coast, many food carts, restaurants, thrift shops, fabric stores, and coffee shops, I think it's safe to say we are slowly checking off our Portland to-do list. What's great about Portland in the Fall is that you can begin wearing your warmer clothes but still get away with cute shoes as the rain has yet to pour. 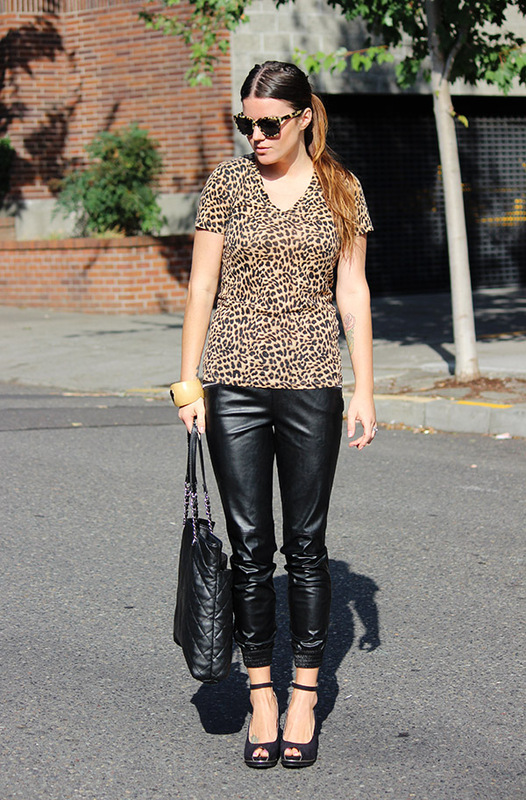 I am still obsessed with these zara faux-leather joggers as seen in this post and have been obsessed with this tee my mom bought me, I've literally already washed it 6 times and have worn it plenty more. I miss you England, but I'm just not ready to go back yet.